Now begins “Noble Silence.” We had just finished dinner after checking in and getting settled earlier that afternoon. The words uttered “noble silence now begins” was a defining moment of the 10 day silent retreat. Over the followings days, we were each going to dive within. To detach from all distractions and get in touch with oneself, spiritually, mentally and physically. Why Take a 10 Day Silent Retreat? Is a 10 Vipassana Retreat Right for You? 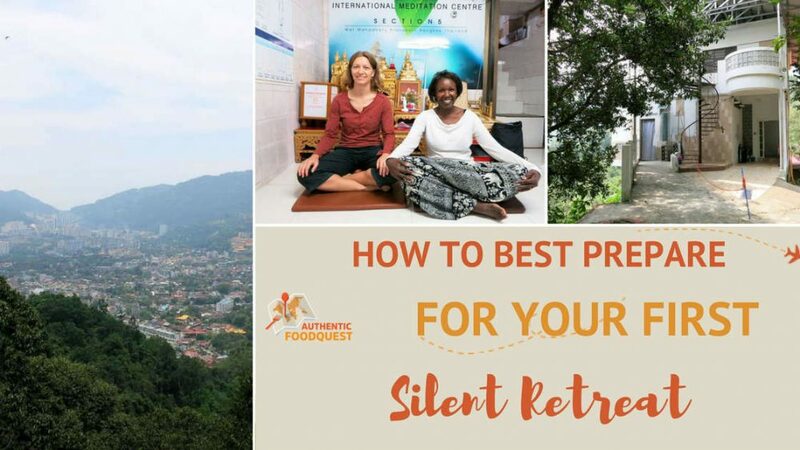 Curiosity, a desire for a transformational experience and taking a digital detox were the core reasons for going on this 10 day silent retreat. 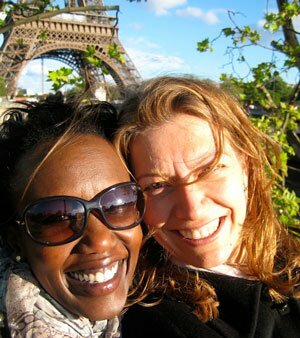 Additionally, we were both inspired and intrigued by our friend, Maria’s experience. As digital nomads working on the road, 24/7, the opportunity to take a “break”, to sit back and reflect and listen closely within was something we were both ready for. Over the last few years, daily journaling and meditation had become part of our daily routine. We didn’t have a formalized practice or approach, only that we made time to journal and meditate each morning. 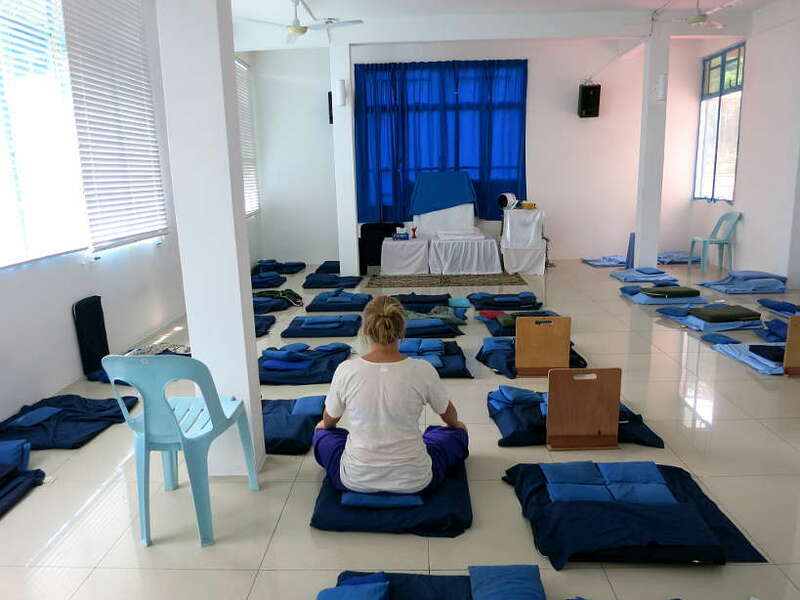 The silent retreat we took was a 10 day Vipassana meditation retreat in Malaysia. What attracted us to this approach was that it is a non-sectarian technique. Anyone of any religious belief or practice can attend. While it is rooted in the teachings of the Buddha, you are encouraged to question your experience. The idea is to make your own decisions based on how you feel and not simply accept what you are told. While planning for our quest to Southeast Asia, we decided to incorporate a 10 day silent retreat into our travels. Given that meditation is highly revered in Southeast Asia, the opportunity to take the retreat in the continent is one that we could not miss. Finding a center proved to be more difficult than we expected. Many of the centers we considered were booked ahead of time. After looking at our travel plans, we found availability in Malaysia, at the Penang Hill East location overlooking Georgetown. To guarantee our spots we booked our attendance three months in advance. As we started planning for the 10 days silent retreat, we needed to pack comfortably so that we could focus on meditating. After registration, you receive several emails from the center that detail what to bring and how to prepare. The “dress code” warns against bringing shorts, tank tops, transparent, tight or revealing clothing. Needless to mention that you don’t need much. For the 10 day period, the main activity is to stay seated and meditate. The best is to pack comfortable clothes, like meditation pants, which allow you to sit comfortably for hours and not be bothered by tight pants or tops. Pack breathable clothes if the weather is warm or clothes that can keep you warm if the weather is cool. A sweater or a shawl for the early morning and evening meditations is recommended. Also, it is advised to keep digital devices and writing material to a minimum. They are not allowed during your retreat. At registration, they will be taken from you and kept in secure storage until the end of the retreat. Don’t try to sneak in technology or journals. It is not worth it. Allow yourself to be fully present and take this precious time to focus on the teachings and the meditation. Once the silent retreat ends, have a journal or a way to record your experience when it is still fresh in your mind. Don’t forget to bring a camera or use your phone to capture a few memories of the people and place. We were both nervous about this stay and what to expect. 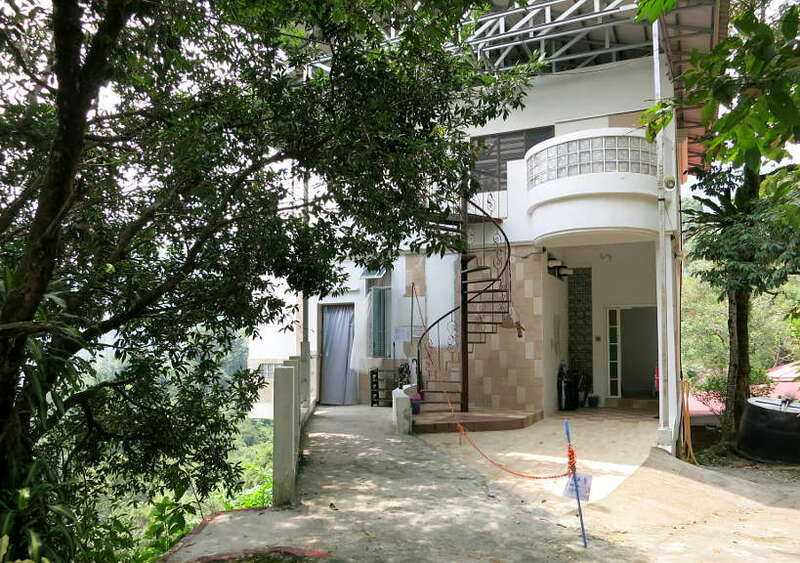 The Penang Hill East Center was small and simple. 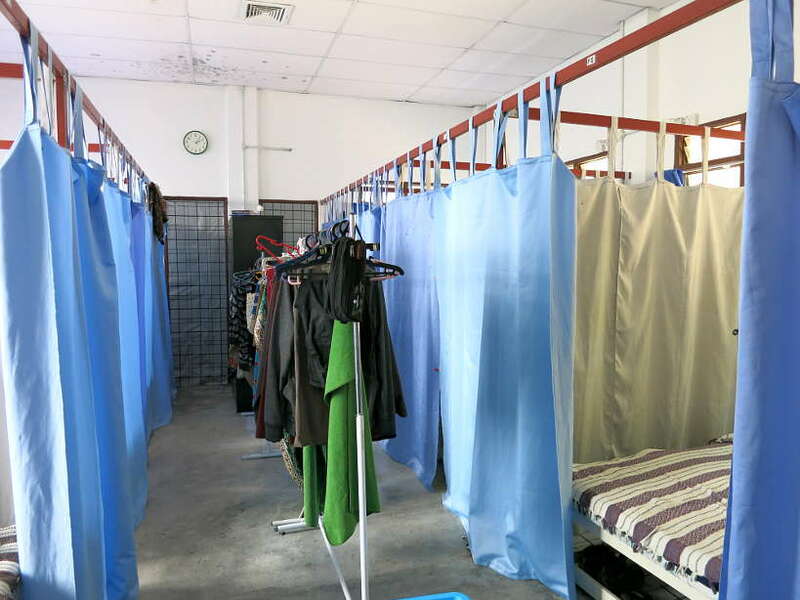 Men and women were separated and our female only dormitory was filled to capacity with about sixteen women. Generally, it is not recommended to go on the retreat with your loved one or with friends. The goal is to minimize all distractions and allow you to focus on yourself. Despite the warning, we signed up together. Another concern was taking the retreat together. Not being able to talk to each other or look at each other in a confined space added to the difficulty of remaining silent for 10 days. The food was a joint concern. What would the food be like? Would it be good? Would it be enough? We knew ahead of time that there would be only two full meals a day and that they would be vegetarian. 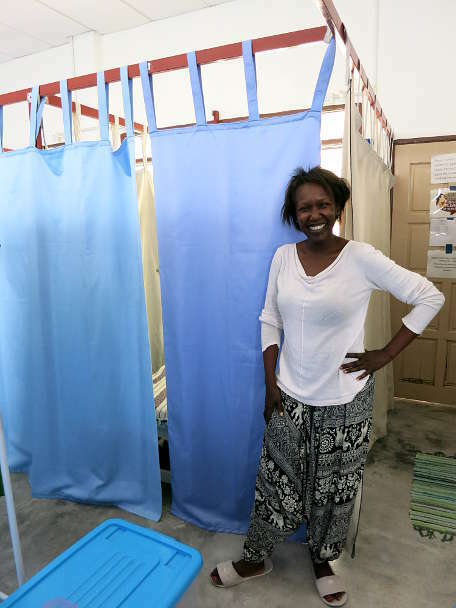 Despite the hesitations, we were encouraged by our friend Maria who had done it before. Although she had a few words of caution, she kept reassuring us about the silent retreat. Hearing about her experience and advice helped us to get mentally and physically prepared. Right from the start, you are thrown off track. The schedule is quite simple and very strict. The wake-up time is 4:00 am so that you can get ready to meditate at 4:30 am, way before sunrise. Most of the day is dedicated to meditating, though there are periodic breaks to eat and take care of basic needs such as showering, resting and doing laundry. The day finishes at 9:00 pm and by 9:30 pm. The lights are turned off and the expectation is that you should be in bed by then. Quickly, you establish a new routine. You figure out when to take your shower, when to eat and when to do your laundry. You create new habits over the 10 day silent retreat period. The word “Vipassana” means seeing things as they really are. It is the process of self- purification by self-observation. You begin by observing the natural breath to concentrate the mind. You move your attention systematically from head to feet and from feet to head, “scanning” every part of your body and feeling all the sensations you come across. In theory, this may not sound difficult, but in practice, it can be one of the hardest things you’ve ever done. For 10 hours a day, you go through this process, while attempting to stay “equanimous.” That is, the ability not to “react” to the sensations that you are observing. So while your knees, hips and back may be crying out in physical pain, the idea is to observe the pain and not get attached to it. This is a fundamental teaching of Vipassana. The process evolves over the 10 day period. The daily meditation practice doesn’t get easier, but it gets more manageable. For example, it took me until day six, to finally complete my first sitting of “strong determination.” This is where you sit with your eyes closed and keep your hands and feet in the same position, without moving, for one hour. We started the silent meditation retreat without any major expectations. One of the best pieces of advice we got from our friend Maria was “to go into it with no expectations. To enjoy it and to surrender ourselves to the experience”. While it was not easy, it became clear over the 10 day period that the experience was a journey of a lifetime. The context for the daily meditations was put into focus with evening discourses from S.N. Goenka. Born in Myanmar (Burma), Goenka trained under Sayagyi U Ba Khin, a leading authority on Vipassana meditation. Goenka is best known for spreading Vipassana and building centers all around the world. The wisdom and inspiration Goenka shared each evening, was something we looked forward to. Using stories and parables told with his wicked sense of humor, he helped us examine the realities of our own bodies and mind. While most of the meditations took place in the main hall, there were opportunities during the day to meditate in your room or private space instead. This was a welcome relief and a chance to stretch and move a little more. The biggest danger of meditating in your room or private space was fighting sleep. Towards the end, we began to crave the daily meditations. We felt an urgency to take full advantage of being able to meditate in a supportive environment, uninterrupted for many hours. It was a feeling of wanting to seize the moment, as life rarely gives you 10 uninterrupted days to focus solely on you. 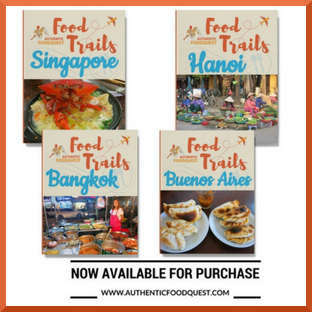 As food and travel bloggers, we probably paid much more attention and interest to the food. 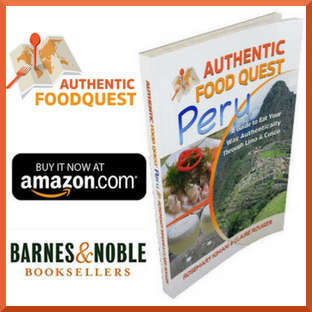 For us, food was an anchor point and the meals were milestones to look forward to. The diet was vegetarian and we ate a lot of noodle soups, rice, grains and tofu based dishes. We also enjoyed delicious fresh fruits and teas with lemongrass and ginger spices. With Penang being the food capital of Malaysia, we knew we would not go wrong with the food. We were impressed with the quality of the food, the rich flavors and generous portions. Breakfast and lunch were very similar, resembling a full meal. One of the biggest adjustments one needs to make is to be prepared to eat noodles at 6:30 am. Also, the 5:00 pm tea time was limited to light drinks and a fruit. After the 4:30 am meditation, we looked forward to our first meal of the day after not having eaten for the previous 12 hours. The two larger meals (lunch and breakfast) punctuated the day and we couldn’t wait to eat once the bell rang to indicate the meal time. At 5:00 pm, a light refreshment was served before the last meditation hour and discourse. Then we would wait until 6:30 am the next morning for our next meal. We cannot thank enough all the wonderful volunteers who cooked such delicious meals for 10 continuous days. 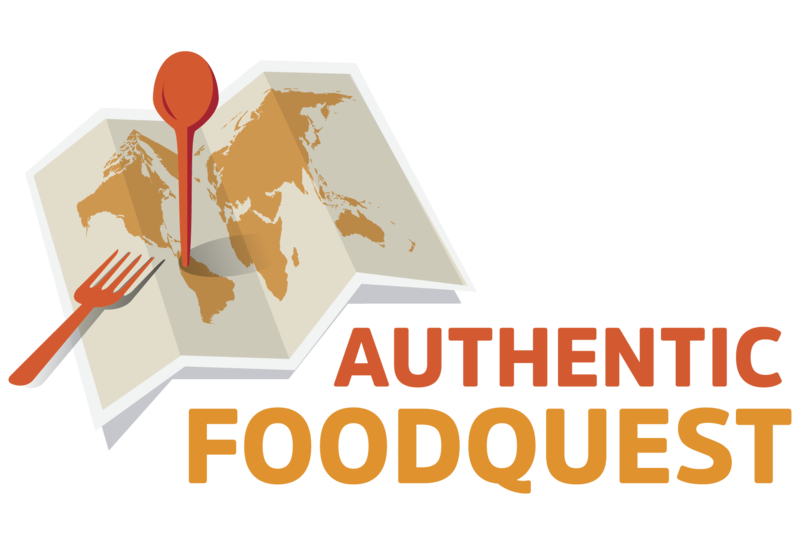 The creativity in the meals and diverse flavors helped make the experience easier. For each and every participant, the experience was unique and deeply personal. We both got more out of the silent retreat than words can express. Overall, the experience was life-changing. The realization that the journey is a life journey and a daily practice. The ability to “feel” and “sense” rather than intellectualize, was like seeing the world anew. Below we share some of our own personal reflections. Claire: This experience really helped me to distance myself from my anger and frustrations and to observe them. And then, let them pass through. Most importantly, I learned an invaluable technique that can help me every day. As anger and frustrations arise, I know how to work on myself and manage my own thoughts and reactions. Instead of trying to find contentment in external factors, I know that I need to work within on a daily basis to find peace within myself. The experience is definitely a lifelong learning and a practice that I cherish. As an ex-French national athlete, I find the experience similar to any sport. You’ve got to practice to get better at it. It has to become a part of your daily routine. Rosemary: In short, Vipassana brought me in touch with my inner self. The experience brought me closer to my feelings within. The body scan approach and realizing that all the knots and pains were bunched up emotions was enlightening. Being able to breathe through them and let them go, with no attachments and judgement, was a freeing and powerful experience. Most importantly, I learned a tool and technique that I can apply for life. That said, it is a journey of a lifetime and not just an experience to have. I felt free, light and joyful from within. Knowing that I have the ability to sit still and breathe through any situation is empowering. Though, it is work that needs focus and dedication. As a Couple: Even though we were nervous at first about taking the course together as partners, it ended up being okay. We did not try to make contact with each other over the 10 day period and instead gave each other space to be fully present. Looking back, we are glad to have shared this experience together. We now have a common language and practice that we have been able to incorporate into our life. This has strengthened and added a new dimension to our relationship. To help deepen the Vipassana meditation practice, you are encouraged whenever possible, to attend weekly group sittings with other Vipassana meditators. As such, we made it a point to find other sittings on our travels. While at the core there is common ground in the practice, we’ve been surprised to find some differences based on the region. Our first sitting after the silent retreat was in Bangkok, Thailand. This experience was dramatically different than our experience in Malaysia. The biggest surprise in Bangkok was the close association with Buddhism. 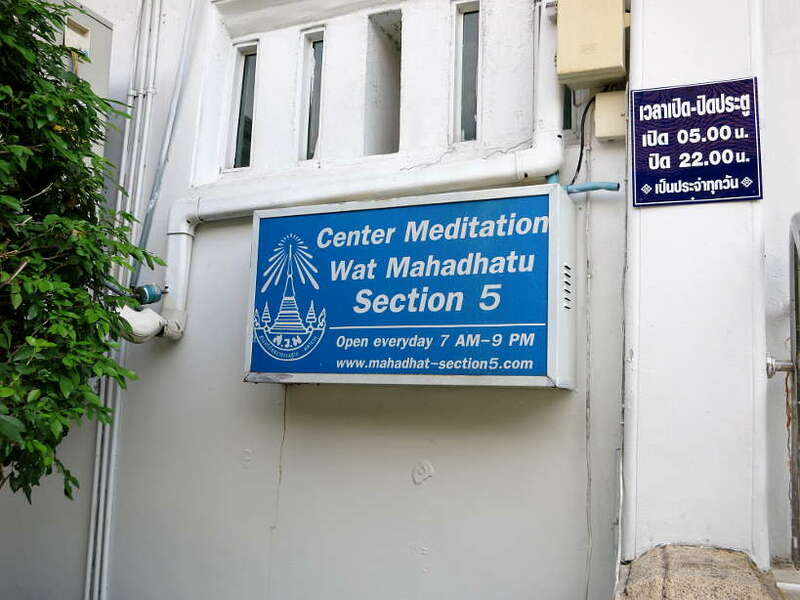 The center in Bangkok was part of a Buddhist temple. Statues of the Buddha surrounded the meditation room. Assisting the Vipassana teacher was a Buddhist nun. This was totally unexpected as it went against the no “religious or sect” principles of Vipassana meditations. 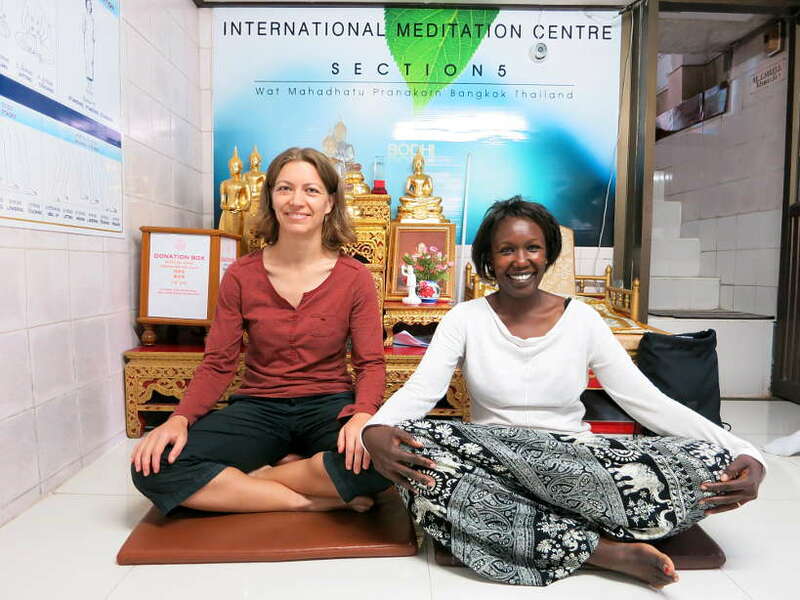 Instead of only sitting meditations, we learned about “walking meditations” in Bangkok. This is where you lift, step and put down your feet in a very deliberate and contemplative manner. This approach to meditation was new for us and something we had not learned in Malaysia. Finally, as we were leaving the sitting, we were given a little booklet of Buddhist principles. It was not clear if this was to “recruit” us into Buddhism or simply enhance our understanding. Back in the US, we attended two other group sittings. In Chicago, the experience was also very different. The sitting was much shorter and a discussion took place after a short reading. It felt like the experience had been adapted to cater to a U.S. audience. In Fort Lauderdale, we found a sitting that took place in the home of an individual. This practice was similar to our experience in Malaysia and we enjoyed it very much. We’re definitely looking forward to finding new sittings wherever we travel. The Vipassana experience is a personal one. And it is different for everyone. Everyone can benefit for meditation. While the 10-day silent retreat is demanding and difficult in many ways, it is ultimately doable. Vipassana is just one type of meditation practice, and while we have found it extremely beneficial, what’s most important is that you develop your own personal practice. Vipassana and meditation in general gives you a lot of insights into your mind and life, and that awareness cannot be understated. Everyone must find their own path to living a joyful and fulfilling life. All Vipassana centers are free to attend with an optional donation given upon completion of the course. 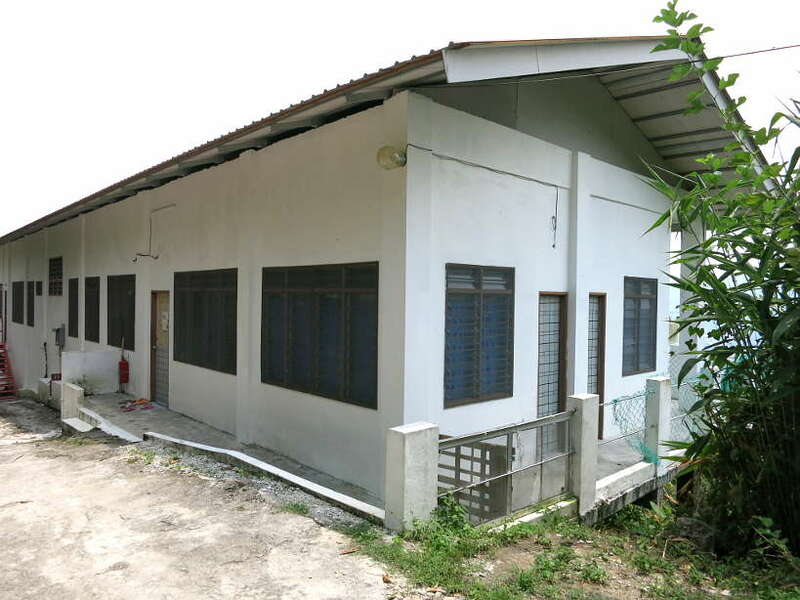 The centers are run by volunteers and the teachings are offered via video recordings of S.N. Goenka. Have you taken or considered taking a 10-day meditation Vipassana course? Please share your experience or let us know your questions. Thanks so much Fiona. It was quite an experience and one that has made a tremendous impact on our lives. Cheers! I could almost feel the peaceful atmosphere while reading this! I hear more and more of such experiences with meditation, with people saying it totally changed their life and how they see everything around them, I find it really interesting and I would be quite tempted to try. I still find courageous to go for a 10-day experience without really knowing what to expect! Oh and the food you described sounded really yummy! I have a friend who also did this 10 day silent retreat and I felt so amazed. Isn’t it amazing? Now while reading your post I’m super glad you made it because I couldn’t believe myself that I can. lol It also reminded me of how our half day meditation course in Bangkok failed, actually, your photo above is the same as me and my friend went! So until now, we haven’t gone back there again together, we just shake our heads everytime we remember it! Penang is such a great city, I’ve been there once but didn’t actually know they offer this course. You are so sweet as a couple that this made you closer together and you both enjoyed the same activity, also gave you a full space on your own without any distractions. I really enjoyed reading this, and commend you both for giving a silent meditation for 10 days(!) a try. It would definitely be a personal journey for sure, I would be one of those weird people that would like noodles at 6:30 am! Wonderful to meet another a early morning noodle lover. What’s interesting is that the morning noodles are not too spicy. They are tasty and easy to eat in the morning. 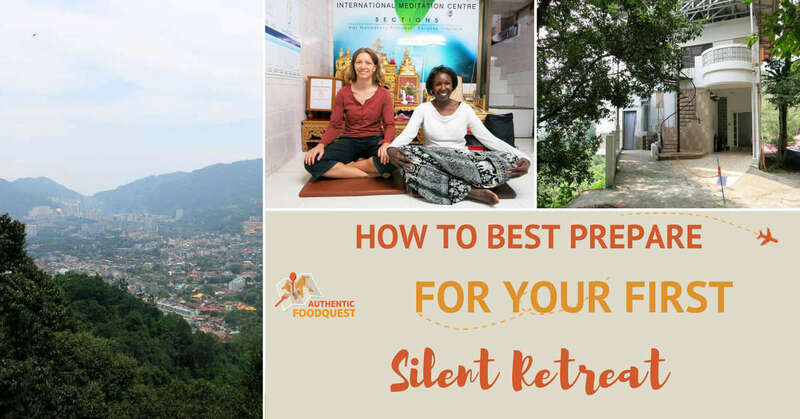 Glad you enjoyed reading the article and let us know if you ever have any questions about taking a silent retreat. I like to meditate and practice it daily, but I’m not sure if I could do it all day for ten days! You experience sounds very interesting and I’m sure you felt better for it. I don’t think I could be silent all day either! It does take some adjustments Lucy, but it is doable 🙂 As a regular meditator, you would actually find it easier than those who do not meditate daily. The 10 days is a long time, but at the same time, very short as well. If you are interested in deepening your meditation practice, don’t hesitate to explore Vipassana. Really interesting, thanks for sharing your experience guys! 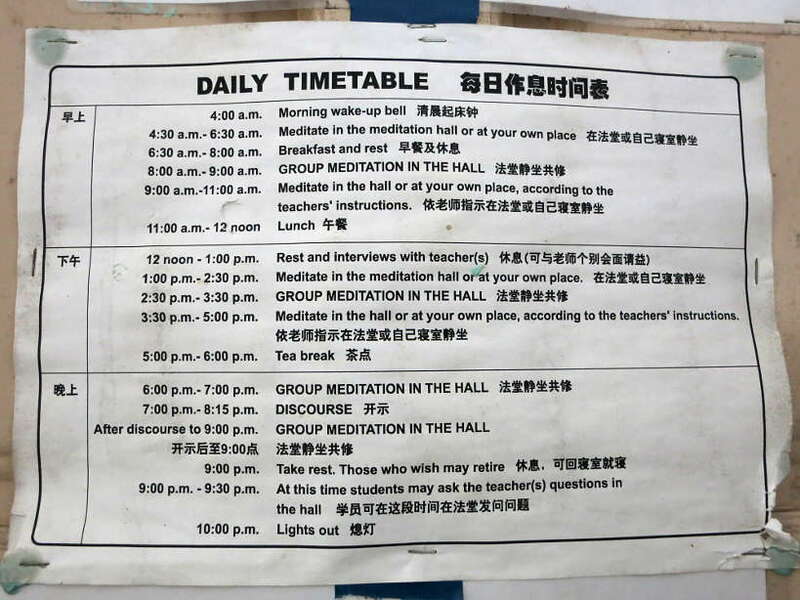 Vipassana meditation retreat in Malaysia sounds like it would be difficult to start out with, I’m not one who is known to be able to sit still! But I stopped at your question about when do you ever really get 10 days to truly connect with yourself. I’m glad to hear that it gets easier over time, and you settle into the routine. A very interesting way to approach meditation; it sounds like you both got a lot out of the retreat – very good tip to keep a journal handy to record the experience as soon as you get out. Something I might consider in the future. Thanks for sharing your experience! To be honest, I don’t think I could make it through this retreat. I value communication too much. Having said that, it does look like a great place, and I know some people who would absolutely benefit from such a retreat. I know I had a lot of friends going for them when I was in SE Asia and they really liked the result. Some even wanted to stay for more than 10 days. Another way to look at “communication” is to think about it as communication with yourself and within yourself. You get to hear loudly and clearly all the voices in your head. Glad to hear that your friends have liked the results. I’m not sure I’d go for more than 10 days 🙂 Though the experience itself was worth well worth it! Fighting sleep, Cai is one of the most difficult aspects, especially at 4:30 am. I have to admit, I fell asleep more times than I can remember. Taking a break from the constant connection and technology was actually easy and great. I really felt like I could relax from within…and that felt great. 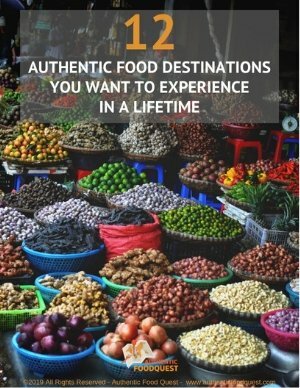 When was your experience in Bangkok? Thanks for this article: it took my right back to my Vipassana 10 day silent retreat in 1990. It was a torturous, exhausting, life-changing and somehow beautiful experience. I haven’t wanted to repeat it, but I’ve had a lot of experiences like that in my life. Wow, in 1990…that’s incredible. Where did you take your Vipassana retreat? You are right, it is difficult on many levels and very powerful and enriching. I would actually be open to taking another course again in the near future. This totally wouldn’t be my thing and I doubt I could sit still doing nothing but meditating for 10 hours a day for 10 days. The 4am wake-up would be enough to send me over the edge – I’m a total night owl. But it sure was fascinating to read about. Thanks for sharing your experience! 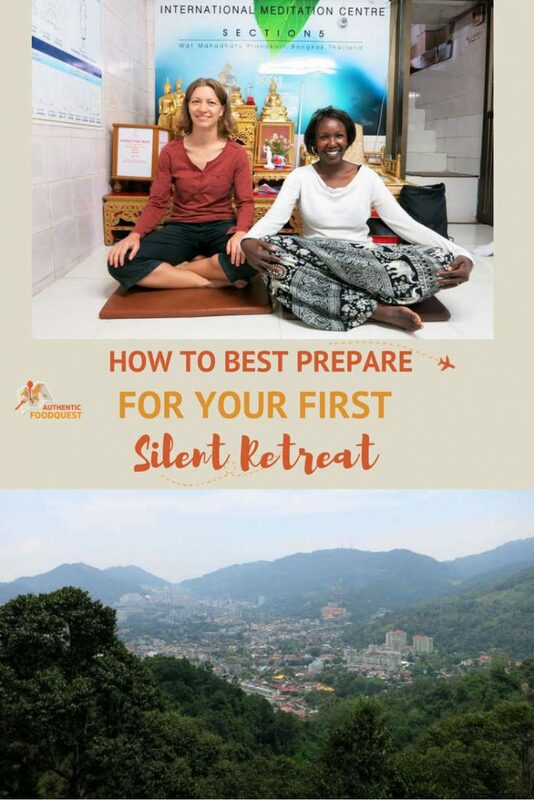 You are right Jennifer, the silent retreat is not for everyone:) Surprisingly, the experience is quite tiring and you end the day quite exhausted. Glad you enjoyed reading about it though. Cheers. Very interesting read. I can definitely see the benefits of a silent retreat (for myself), but maybe this post can inspire me to at least start practicing to stay still and quiet for a short time and build up my tolerance. I’d truly love to give this a try, but 10 days is a long time. Especially for a newbie. I think I can also relate to those little aches and pains being slightly related to emotional baggage. That makes total sense. What an incredible experience! 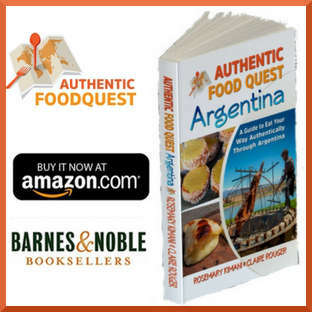 I always look forward to reading about all of your wonderful experiences around the world. I think the 10-day retreat would be pretty hard for me, but I definitely like the idea of powering down the electronics for 10 days!!! Maybe that should be my New Year’s resolution! Thanks for sharing, and I look forward to your next article!